Welcome to Turkey! On arrival at Istanbul Airport you will be met and transferred to your hotel. The world’s only city straddling two continents, the city of Istanbul dates back to antiquity. Its grand monuments bear testament to the ancient empires that made it their capital. 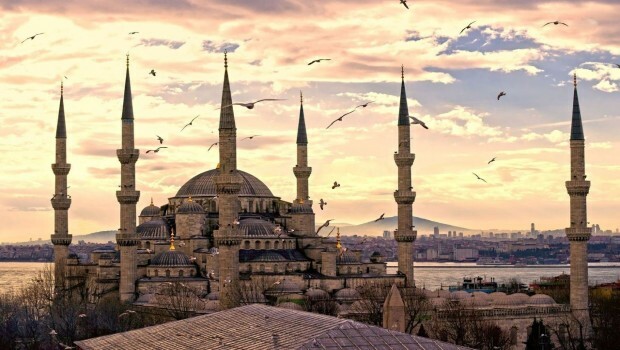 Your day of sightseeing includes visits to the magnificent Blue Mosque and Byzantine Hippodrome, known as Sultanahmet Square. Our lunch is Turkish Kofte (meatballs). This is the best local dish near the historical sites. Other highlights are St Sophia Basilica, the former cathedral nearly 1,500 years old and Topkapi Palace, once home of Sultans and now housing Ottoman Empire treasures. End the day with a visit to Basilica Cistern. Dinner at a local restaurant. This morning, we take a short tram ride to Eminonu to visit the Spice Market before enjoying a cruise along the meandering Bosphorus strait, dividing Europe and Asia. Its banks offer a delightful blend of past and present, imposing splendour and simple beauty. See where contemporary hotels stand next to shore-front timber villas, marble palaces border rustic stone fortresses and elegant compounds neighbour quaint fishing villages. No visit to Istanbul is complete without tasting yummy street food. Our lunch is “balik ekmek” (fish sandwich) and “tursu suyu” (pickle juice) when we disembark from our cruise. A nice stroll back to our hotel along the Gulhane Park for a relaxing afternoon. Hurrem Sultan Turkish Bath is booked for this afternoon. Tonight we head to Kumkapi Historical Restaurant for dinner. 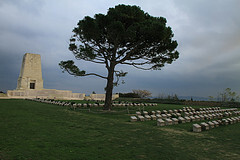 After breakfast, we visit WWI Battlefields of Gallipoli including Kabatepe War Museum with its astounding fused bullets, Brighton Beach, Anzac Cove, Lone Pine, Johnston’s Jolly, The Nek, and Chunuk Bair, all within a few kms of each other on the Gallipoli Peninsula. Enroute to Gallipoli, we enjoy lunch at Eceabat. Visit the ancient city of Troy, where excavations began in the late 1800s. For lunch, continue along the Western Coastline of Turkey to nearby seaside town of Ayvalik for a taste of its famous "Ayvalik Toast". Ayvalık toast is special with its crispy bread and rich ingredients. 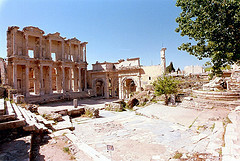 Then we will see the Acropolis, theatre and temple remains. Its impressive temples and library made Pergamum a renowned cultural and political centre for its time. Continue to Kusadasi for overnight. Absorb yourself in history today with a visit to one of the Seven Ancient Wonders of the world, the site of Temple of Artemis and the ancient city of Ephesus with its well preserved colonnaded Arcadian Way, Hadrians Temple, Celsus Library, market and theatre. Feel the mystical atmosphere of the city and stadium where chariot and horse races were once held. After visiting Ephesus, we iundulge in Turkish gozleme. You will also have the chance to experience some Turkish handicrafts and to visit the pilgrimage point claimed to be the last home of the Virgin Mary. We end our tour today with a visit to Sirince village located on the top of a mountain, famous for its local wines. Tonight we enjoy dinner at a Seafood Restaurant. 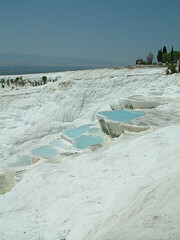 Pamukkale's spectacular natural hot springs with high calcium bicarbonate content cascade over the edge of the cliffs, leaving bright white deposit terraces. It has been used as a spa since the 2nd century BC. Though you won't be able to bathe in these travertines, you can take a walk through them (after removing your shoes), and these pools are said to fix up any circulation and digestion problems. Take some time to visit the nearby ancient city of Hierapolis and take a dip in what used to be Cleopatras’s old pool – the transparent water-filled pool, sculpted as a gift from Marc to Cleo, is stunning. 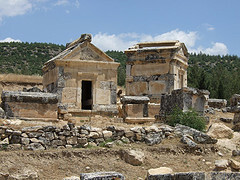 You can also check out the other ruins of the city – Hierapolis is known for its abundance of temples and religious structures, vast necropolis and strange tombs, and the amphitheatre shouldn’t be missed. Continue to your hotel and dinner at the hotel restaurant. After breakfast, drive to Cappadocia visiting Konya on route. For lunch, we enjoy the famous 'Etli Ekmek' in Konya. This evening, you will meet Marcus's family and endulge in his mother's delicious home cooked dinner. Luxury Cave Hotel - Whirling Dervishes Ceremony in a 12th Century Caravanserai. Your day begins with exploring the ancient city with highlights to include: Kaymakli Underground city, touring the "moon-like" topography and unique landscape of Cappadocia. Underground city of Kaymakli where thousands of early Christians lived concealed from persecutors in eight story complexes of subterranean dwellings, before checking into Ayvali village to enjoy the picturesque views of this ancient and historic land. Home Cooking in a Real Turkish Traditional Cave Home! Then, travel to the remote village of Ayvali in Turkey’s Central Anatolia to meet its friendly people, join in age-old customs and sample its distinctive cuisine. Join an interactive workshop in local culinary culture and try traditional Turkish food here. The day you spend with your travel companion's cooking, tasting and communing food around the table. If you wish, you can prepare a delicious Anatolian lunch of "yaprak sarmasi" or filed with filo pastry "borek" and eat with a home cook making some of the most authentic dishes in the region. After lunch, visiting Mustafapasa ( Sinasos ), Greek village. There is a famous for the beautiful neo-classical facades and the ornate carved stonework of these houses. Then, visit Avanos Pottery Village and proceed to vineyards for endemic grape varieties of Turkey and wine tasting. Today's dinner at the grillroom 'Ocakbasi' the real place of kebab. Today we visit Devrent Valley (Imagination Valley), spectacular fairy chimneys and beautiful landscapes. After Devrent valley, we will visit Pasabagi (known as monk valley) where double and triple headed rock formation. Spend an enchanting afternoon sampling local food and delights with the family living in a cave house. Have traditional home cooking food by Women's Cooperative Restaurant for lunch. A great variety of food is prepared at home and presented by Cappadocians here. Later you will visit Goreme Open Air Museum known as the heart of Cappadocia. Goreme open air museum famous for wall painting dates back to 10th century describing the life of Jesus Christ and monks. Along the way, we visit a Turkish carpet hand weaving centre and learn how Turkish rugs are traditionally made. Cappadocia remains the biggest carpet weaving areas of Turkey. Setting out from Cappadocia with your private driver, today heralds an interesting road journey. Travel to Adiyaman passing Tekir plateau, flanked by Mount Erciyes. Lunch on the way and dinner at the hotel restaurant. Arrive at Mt. Nemrut before dawn and ascend the mountain for 15 minutes to watch the magical sunrise over the plateau and visit the massive ancient rock statues. 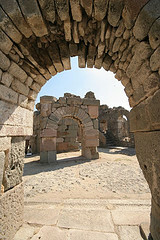 Return to Kahta and tour the Ancient city. Continue to Halfeti, an ancient town offering incredible views over the lake. This beautiful town is partially flooded, while here you will view the tops of buildings including the minaret of an old mosque still standing proud from in the water. Enjoy a Traditional Turkish lunch. This afternoon you will take a boat tour departing for Rumkale, cruise to the ancient castle city of Hromla. Now surrounded by water following the flooding that a dam was created in the region. The city here is sacred with a unique history as the new testament was copied here with some of these hidden within the castle walls. We continue to Sanliurfa for overnight. Today, we will visit Göbeklitepe which will allow you to discover the region and observe the excavation currently running at the site. Visit the famous 'beehive' village houses of Harran and the ancient city of Urfa, home of Abraham. Taste the local famous food Lahmacun, Ciger or Cig kofte for lunch at a traditional restaurant. Discover the "City of the Prophets" as we visit Abraham's Caves, the pool of sacred carp and the busy and colourful bazaar. Then continue to Gaziantep for overnight and dinner at a local restaurant. Before continuing to Hatay, we will visit the ancient Roman city of Zeugma and tour Gaziantep, visiting the Mosaic Museum where the superb Roman mosaics of Zeugma are displayed. Gaziantep (also known as a food lovers paradise) has 30 different local dishes registered for the region as official dishes of culture and there are a few special ones that you must try. One should never leave Gaziantep without trying 'Baklava' available on every corner, Antep is truly a paradise for those with a sweet tooth. Also, don’t miss tasting 'Katmer' in Gaziantep. You won’t be disappointed! Continue to Antakya (Antioch) for overnight and dinner at a traditional restaurant. Today we will visit Antakya. This region is a storehouse of extraordinary historic landmarks, including the “cave church” in which St. Peter preached to the Christian population of Antioch. Persecution was rife at the time and is evidenced by the tunnel that once opened to the mountains–an escape route for those in jeopardy because of their faith. The Biblical book of Acts notes that Barnabas and Paul stayed in Antioch (Antakya) for a year, preaching to the people there and converting thousands. Around the same time as Paul, Barnabas and Peter were spreading the gospel of Christianity, the Romans were completing magnificent mosaics in the homes and public buildings of Antakya. These stunningly colorful pieces of exquisite art are on display at the Mosaic & Archaeology Museum, ranking among the best of its kind in the world. The state of preservation is quite incredible and makes this museum a must-see. Here you will enjoy a traditional lunch of local dishes 'Katikli Ekmek' or 'Hatay Doner' and specialties of this part of Turkey. If you like stuffed meatballs (içli köfte), oruk will be perfect for your palate! You must also taste the famous Turkish dessert 'Kunefe' in Hatay. We will travel to Harbiye, just 9km's south of Antakya. The ancient and celebrated suburb of Daphne is a beautiful gorge, dotted with waterfalls and pools, to which revelers and vacationers flocked in Roman times, drawn by the shady cypress and laurel groves. It is said that Mark Anthony and Cleopatra married here in Harbiye. Dinner at a local restaurant with great atmosphere in Antakya. Your tour concludes after breakfast when it is time to farewell new friends and travel to the Adana Sakirpasa Airport for your flight home.